I have never seen this decoration. Looks as if it were Chinese export. 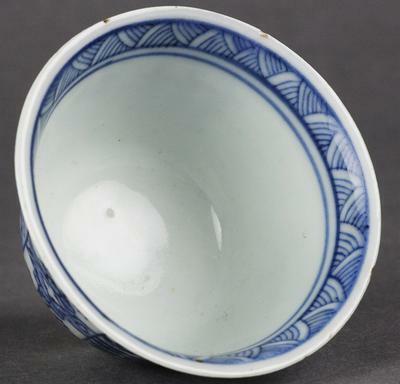 There is a Kangxi mark which may be apocryphal. 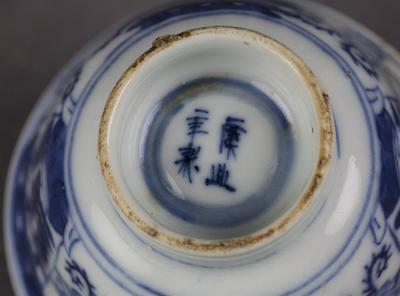 Four character marks are mostly attributed to the late Qing dynasty. 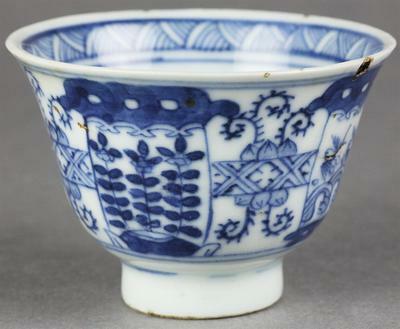 The top rim shape also could mean it is 19th century. 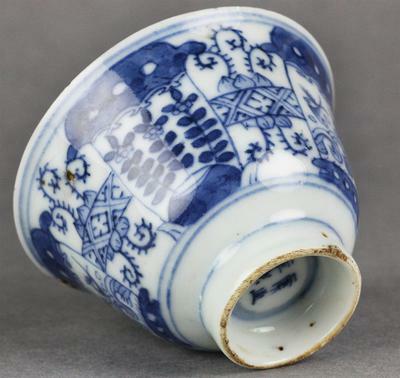 In other words, it could be a late Qing dynasty item with a spurious Kangxi mark.